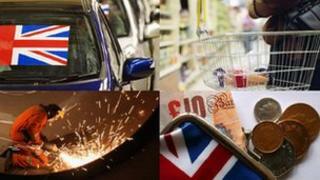 Viewpoint: Is UK GDP data fit for purpose? The latest UK GDP data clearly caught economists and commentators off guard. Rather than showing an increase in activity of the expected 0.1% in the first quarter, they showed a decline of 0.2%. In reality, the difference between the predicted number and the outturn was relatively small. However, the different sign, the minus rather than the expected plus, triggered a swathe of recession headlines across the press and other news media. The so-called technical definition of a recession is two consecutive quarterly declines in GDP. So, following a fall of 0.3% in the final quarter of 2011, that is what we have just had - or is it? How reliable are the numbers that are first published by the Office for National Statistics? The answer is: not very; they are based on limited information and can be (and normally are) subject to heavy revision. The reason that people were surprised by the latest numbers is that they seemed to conflict with other evidence of the current state of the economy. Both independent surveys of activity and some of the ONS's own data have been suggesting that the economy actually gained a little momentum in the first three months of the year. Before we get too carried away, growth remains far below the pre-recession rates. Nonetheless, indicators such as retail sales and trends imply that the economy is beginning to make progress. I have been collating GDP data published by the ONS for over 20 years. One comparison I make is between the growth estimate first published with the current estimate. It can take quite a long time for revisions to come through, but eventually, they can be huge. For instance, the first estimate of GDP for the second quarter of 2008 showed an increase of 0.2%. The current estimate for the same quarter shows -1.3%. In contrast, the initially published growth estimate for the third quarter of 2009 revealed a decline in GDP of 0.4%, but now the ONS tells us there was actually an increase of 0.2%. Taking a slightly longer-term view, the average absolute revision (i.e. ignoring the +/- sign) since Q1 2005 has been 0.4% (higher than the average growth rate, itself) - and that includes the most recent year or so, for which the revisions process has hardly started. The implication is that the data just published will eventually prove at best highly misleading and at worst plain wrong. And it is not just that the data is revised, it is also that the pattern of the cycle actually changes. So, prior to the recession, the economy was growing significantly faster than thought at the time, but then nosedived more steeply. We also came out of recession earlier than thought. Analysis of estimated year-on-year changes show similar problems with revisions. As a 'for instance', the first estimate of full-year GDP for 1992 suggested that the economy contracted by 0.5%. Currently published data suggests that it grew fractionally (+0.1%). This is not just a statistical nicety - policy is based on growth estimates that may bear very little relation to reality. Looking back, I believe it is possible that the path of interest rates in the period prior to the recession might have been significantly different, had we known the 'true' strength of the economy during certain years. While we cannot be sure, this might have prevented some of the build-up in debt we saw during this period - a problem that is still weighing so heavily on economic activity today. The preliminary estimate of GDP is produced due to user demand for an early estimate for the output of the economy. At this point over 40% of total output is available, which has proven to be a good short-term indicator of the economy. Since quarter one of 2007 the average revision between the first and third estimate of GDP has been -0.02 percentage points, with 15 of the 20 quarters only revised between +/- 0.1 percentage points. As more data become available, methodological improvements are implemented and the three approaches to GDP - output, income and expenditure - are fully balanced, further revisions can occur. However, when looking back over the last 20 quarters, between the first and most recent estimates, the absolute revision (that is, ignoring the +/- sign) is still only 0.4 percentage points. Richard Jeffrey is chief investment officer at Cazenove Capital. He is an economist and strategist with 30 years investment experience.